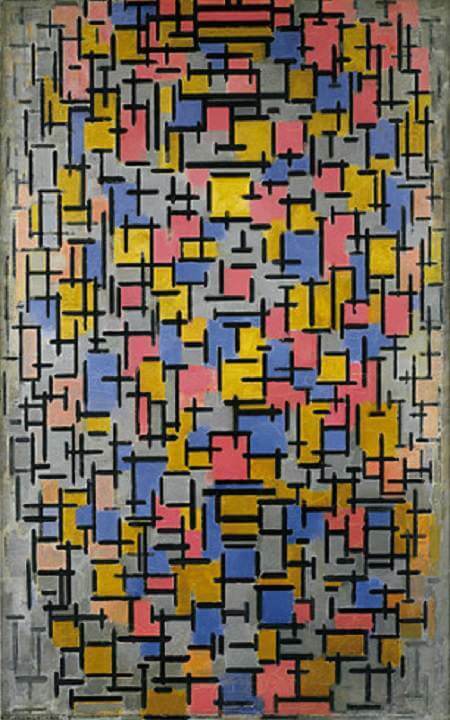 When Mondrian saw Cubist paintings by Georges Braque and Picasso at a 1911 exhibition in Amsterdam, he was inspired to go to Paris. 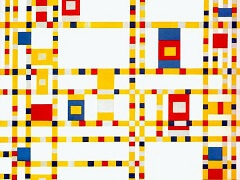 Tableau No. 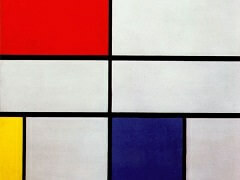 2/Composition No. 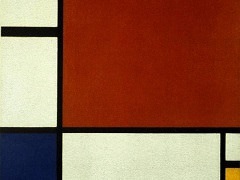 VII, painted a year after his arrival in 1912, exemplifies Mondrian's regard for the new technique. 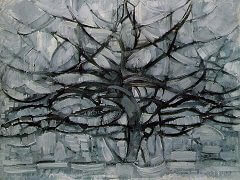 With a procedure indebted to high Analytic Cubism, Mondrian broke down his motif - in this case a tree - into a scaffolding of interlocking black lines and planes of color; furthermore, his palette of close-valued ocher and gray tones resembles Cubist canvases. 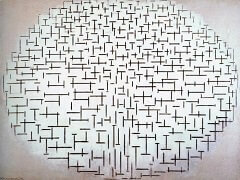 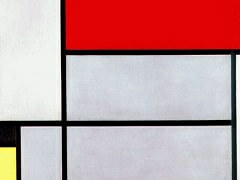 Yet Mondrian went beyond the Parisian Cubists' degree of abstraction: his subjects are less recognizable, in part because he eschewed any suggestion of volume, and, unlike the Cubists, who rooted their compositions at the bottom of the canvas in order to depict a figure subject to gravity, Mondrian's scaffolding fades at the painting's edges. 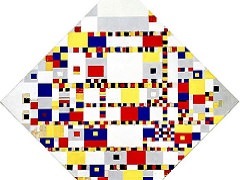 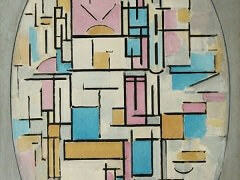 In works such as Composition 8, based on studies of Parisian building façades, Mondrian went even further in his refusal of illusionism and the representation of volume.